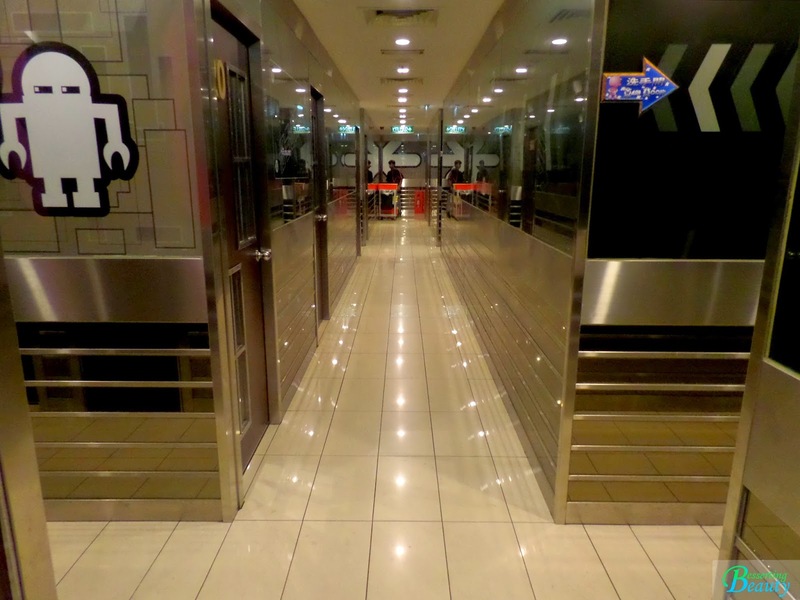 I was quite surprised that the entire street along 48 Tanjong Pagar Road had tons of Korean restaurants. 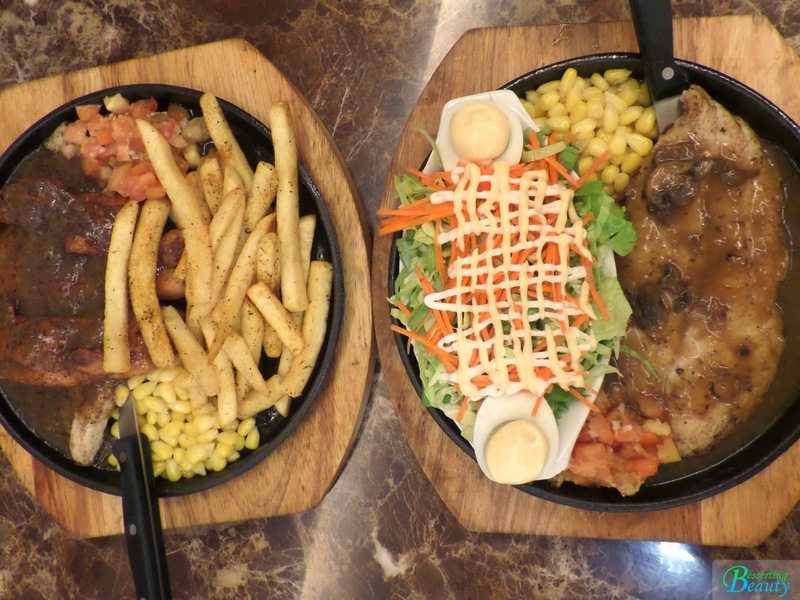 Despite such competition, Chicken Up stood out from the rest, specializing in a huge variety of Korean style chicken dishes. 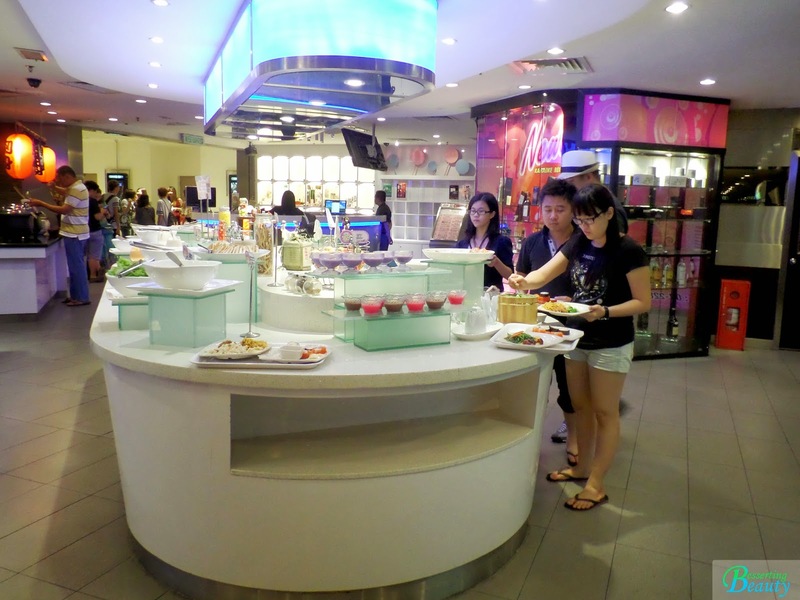 For all buffet/chicken lovers out there, there is a all-you-can-eat chicken buffet! The Watermelon Soju made a grand entrance onto our table with smoke produced from dry ice. Soju is originally from South Korea and is traditionally made from rice, wheat or barley. 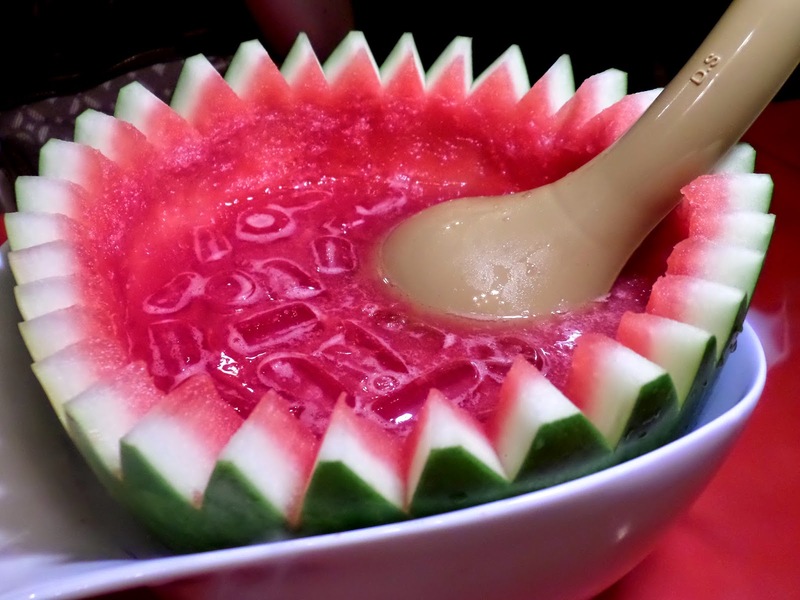 With blended watermelon flesh that gave a less boring texture to the drink, the overall feeling was crisp, clear and definitely refreshing. Besides the Watermelon Soju, I also tried the Yakult and Pear Soju. 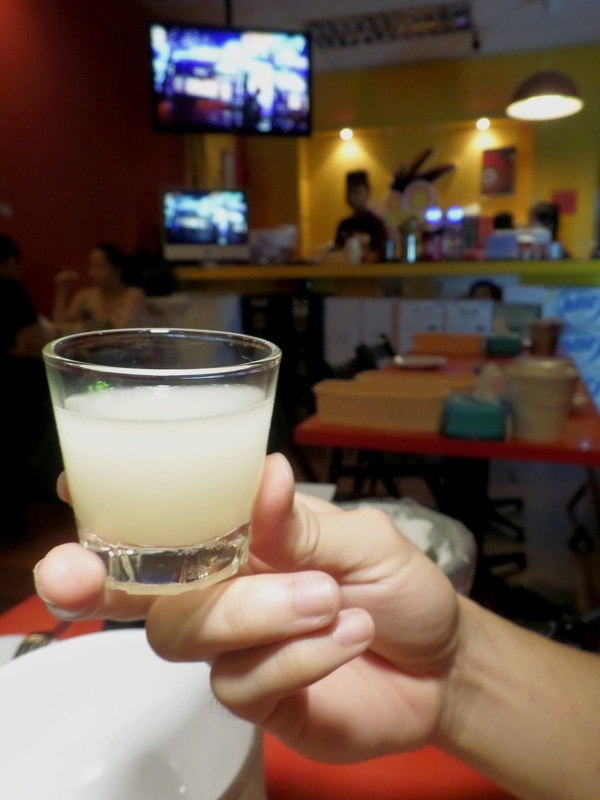 The yakult soju could be defined by its milky white colour as well as its taste. My personal favorite would definitely be the pear soju, which I would highly recommend to ladies, since it was so soothing and sweeter as compared to the others. Soju made great accompaniment to chicken dishes! A popular snack that has been highly raved is available here too! 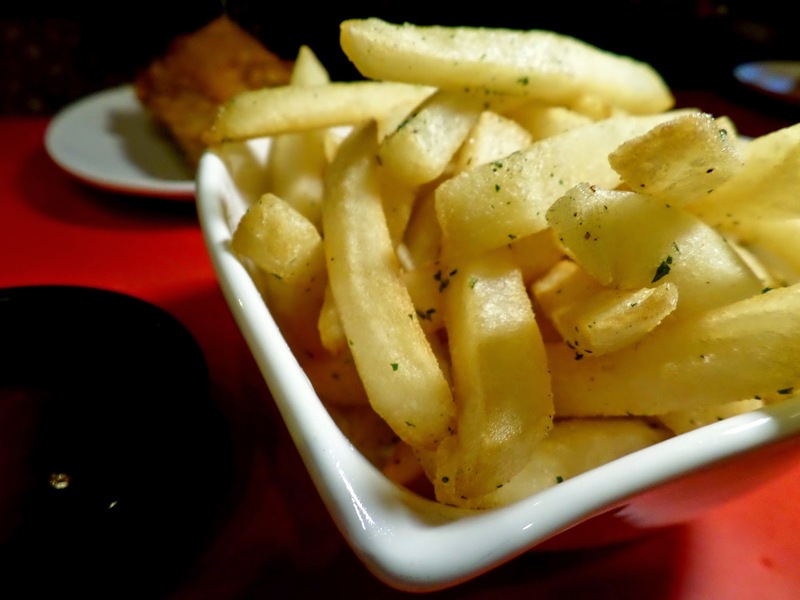 The Truffle Fries, with its thick cut and perfumed with the earthly truffle fragrance. My personal favorite was the Soy Sauce Chicken Wings! 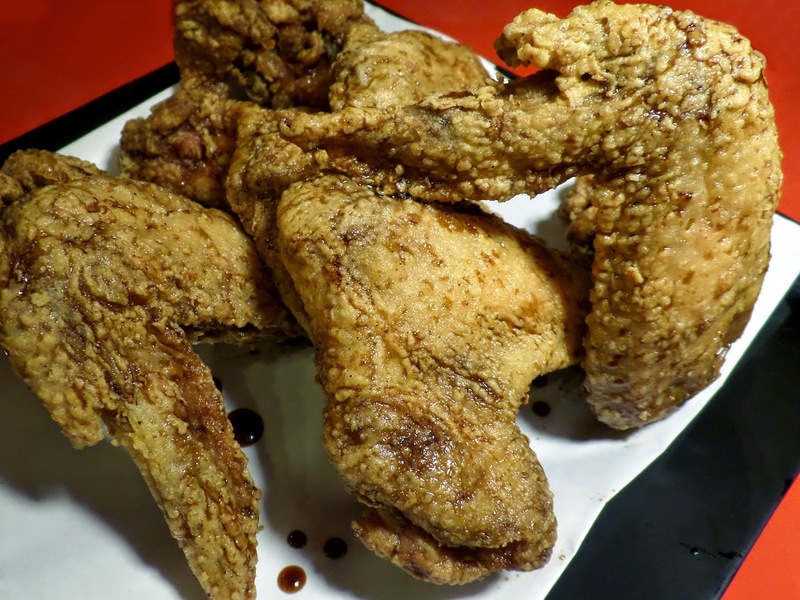 Firstly marinated and then deep fried, this combination really made the wings distinctive. Not only that, I just loved the umami sensation from the juices of these wings due to the naturally occurring glutamate found in soy sauce. Thankfully I did not leave it on the table for long or else the marination would start to make the semi-crispy skin soggy. Up next with its deep fried crispy skin would be the Spicy Up. One would clearly be reminded of KFC, Popeyes or any other fast food establishments that serve a similar crispy fried chicken. 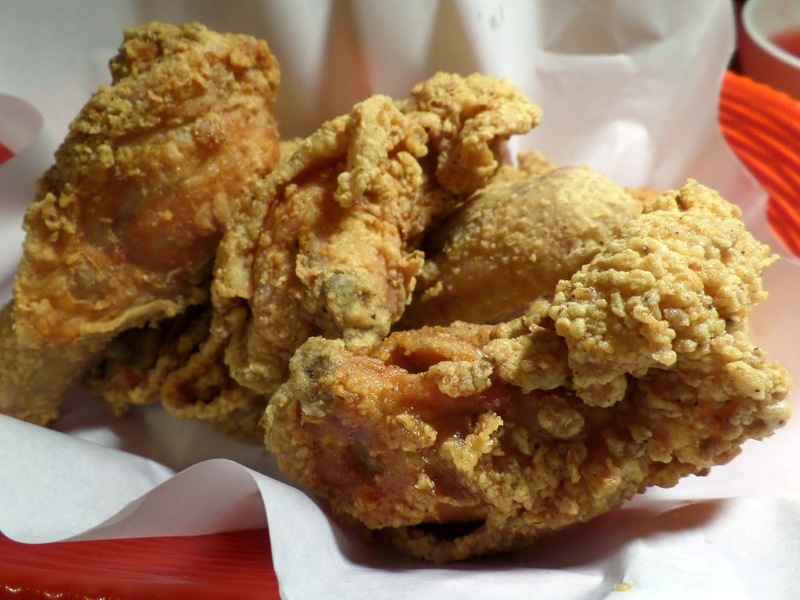 Just be reminded that not all fried chicken would taste the same since the tender flesh and the batter would be the deciding factors. Thankfully it wasn’t spicy at all, not that I could take spicy. 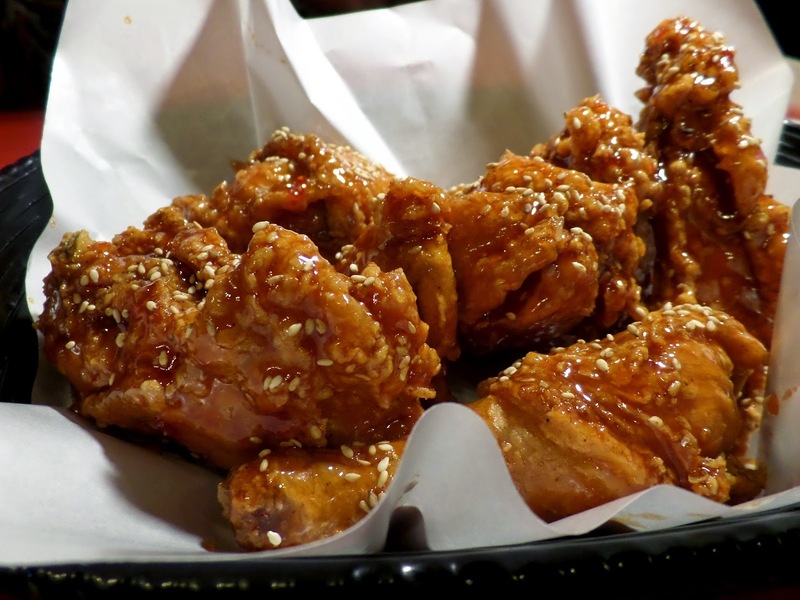 Another favorite of mine would the Yangnyum (Korean fried chicken)! It was glistening due to the lovely coating of the sweet and spicy sauce. Although a bit messy to eat, it proved to be worth it and for non-spicy eaters, rest assured that you won’t have a hard time. 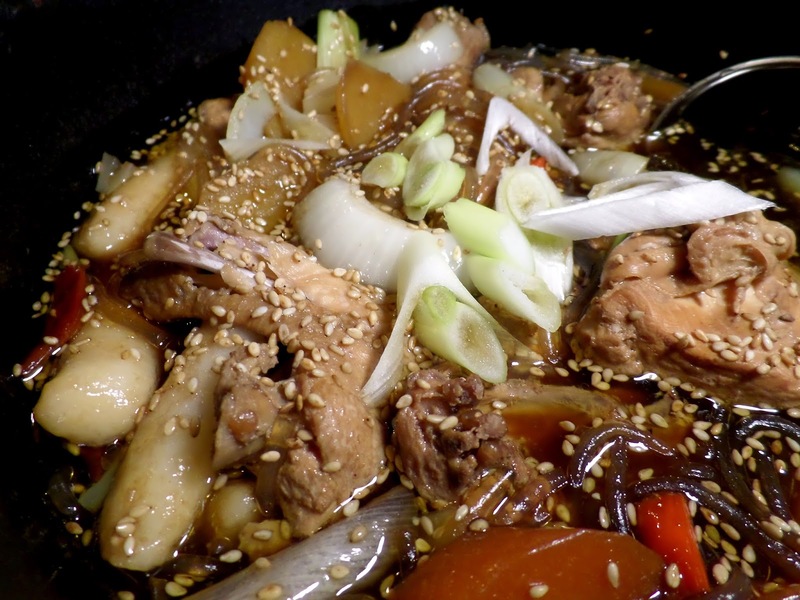 Last but not least would be the Andong Chicken Stew. The first thing I noticed was the generous sprinkling of sesame seeds, as well as the entire pot was brimming with tons of ingredients such as chicken, potatoes, carrots, rice cakes and thick glass noodles. I guessed they were quite generous with the chilli padis as well since my mouth was burning hot after a sip of soy sauce broth. (The soju saved me!) The chicken was fork tender and managed to absorb the spiciness too. This post was like a month back and I was actually still considering whether to post this up since it would be a rare lifestyle post. My friend and I decided to go over to Johor Bahru during the weekend and spent our entire day 'overseas'. We as JB noobies, spent our entire day hanging out within Johor Bahru City Square itself! Can you believe it? In a shopping centre? El Migos serves really decent food and they came in huge portions too! I went to change my fries to salad for a healthier choice. After our brunch, we headed to beans talk for a bowl of Taiwanese dessert! We ended up ordering the same thing *facepalm*. 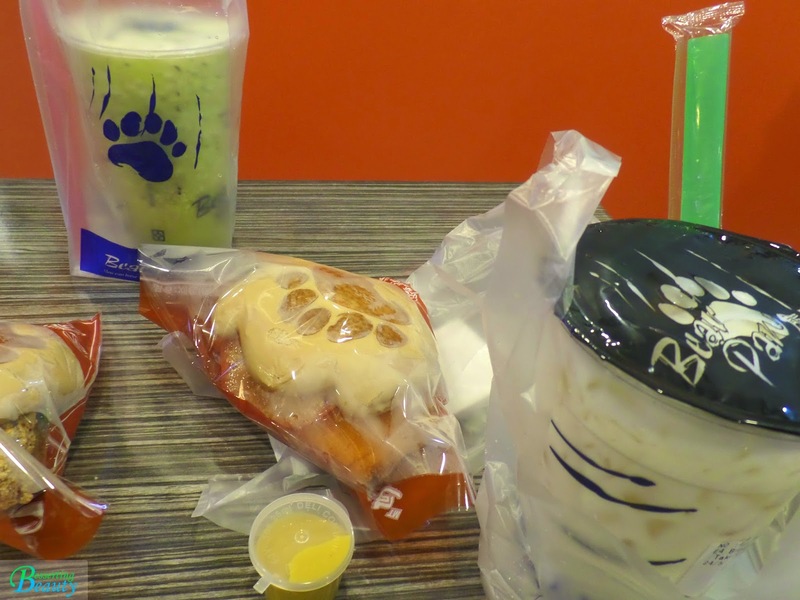 Our movie starts at 3 and we went to takeaway a bear paw set (burger + lrg drink) to munch in the theater. NomNomNom..... My 4th time at Bear Paw Cafe and I felt that they had changed the fish patty. 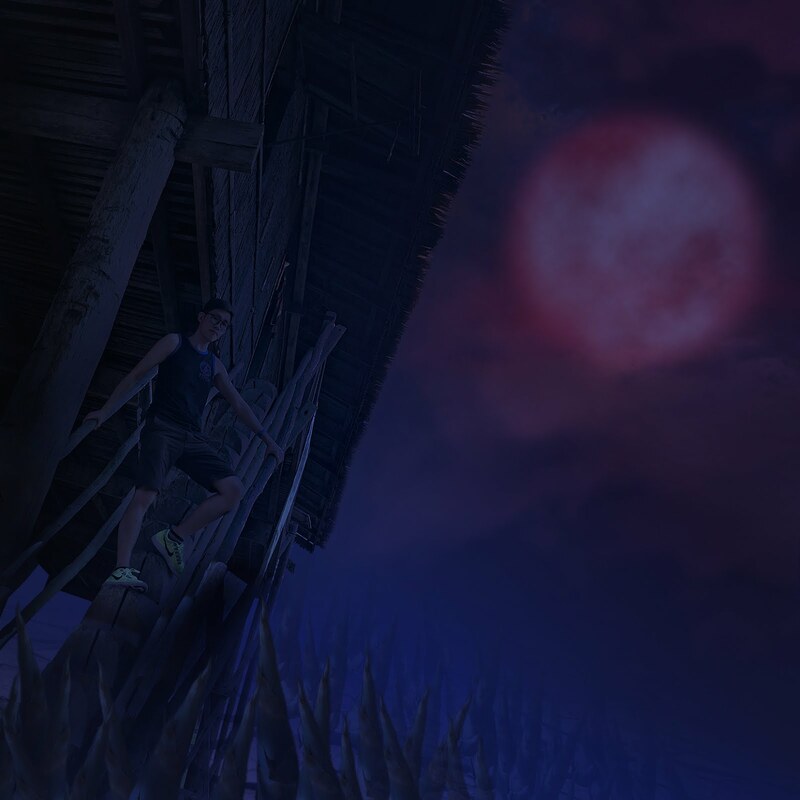 It was less meaty and had shrank in size as compared to the few previous times. 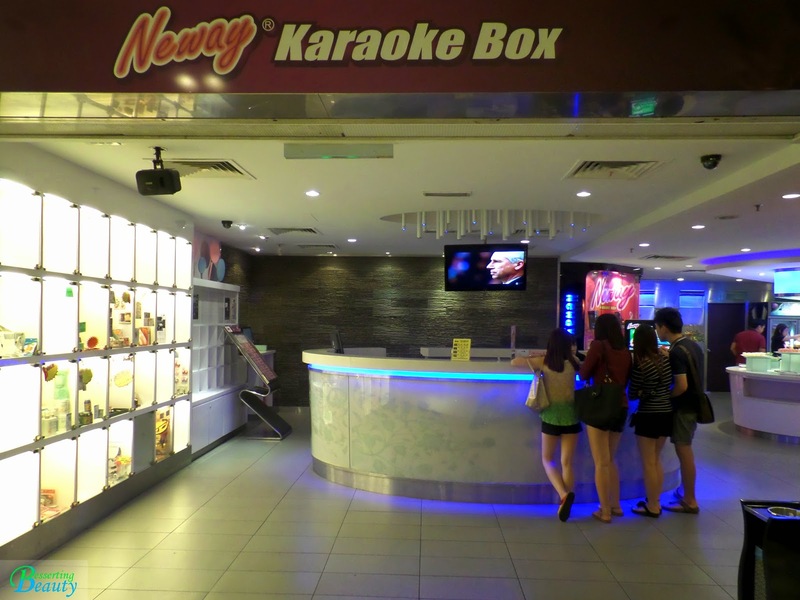 It was a last minute decision to sing karaoke that day! We just walked in, paid and started singing! The place was really spacious and I kept wondering what they have for the dinner buffet spread which was inclusive in the package. I just love the metallic maze-like feel, just like escaping from a techno dungeon. I almost got lost a couple of times since I am a screwed up direction person at times. Oh no! I forgot to take picture of the room! The first song I picked was 'Let it Go'! Really addicted to that song and I knew I was not the only one singing that song around here! After singing for 2 hours+, the buffet spread was ready! I quickly snapped a few pictures before stacking my plate with food although I felt that my tea break have not been fully digested. It was quite a spread but some food was under my 'not-worth-eating' list. Some of the finger food which I could munch on while waiting for my turn to sing my heart out and my voice off. 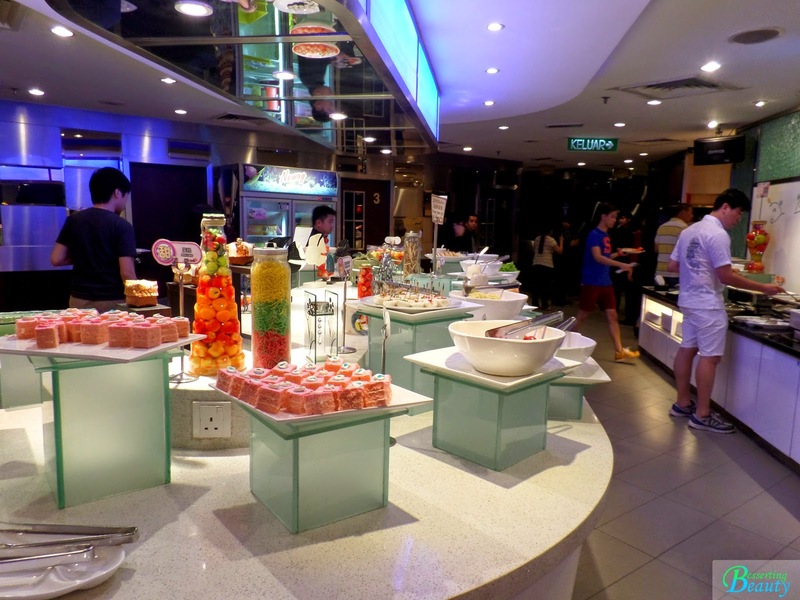 During the normal hours, 1700 and later, it costs RM 46 per person which includes the dinner buffet. There was an additional charge of RM 12 for a pathetic bowl of chips, which was compulsory. 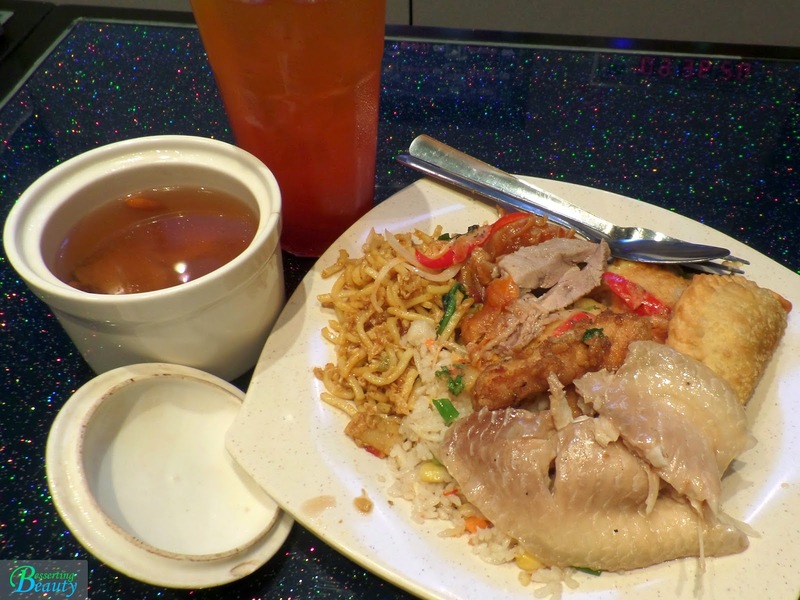 With government tax and service charge, the total cost was RM 60.30 per person. 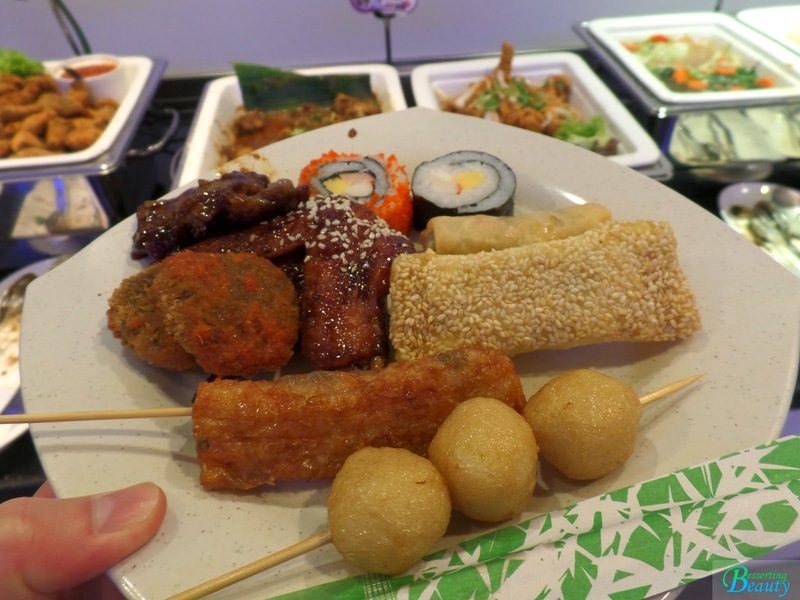 Check out my sidebar 'Off to Johor Bahru' for other food options around Johor Bahru.